This year, more than ever it seems, the dishonor done to our nation’s first president George Washington on the federal holiday celebrating his birthday is more pronounced. From the White House, to a news anchor and a congressman, George Washington has been pushed aside on the day set aside to recognize his unequaled service to the United States of America. There is no proclamation by President Barack Obama listed at the White House Web site for the Washington’s Birthday federal holiday. But there is one for the Rev. Martin Luther King, Jr. federal holiday last month. The White House does have a blog entry today for ‘Presidents Day’ that lumps a profile of Washington in with other presidents including Obama, of course. But that is not a fact. The federal holiday is and always has been Washington’s Birthday. 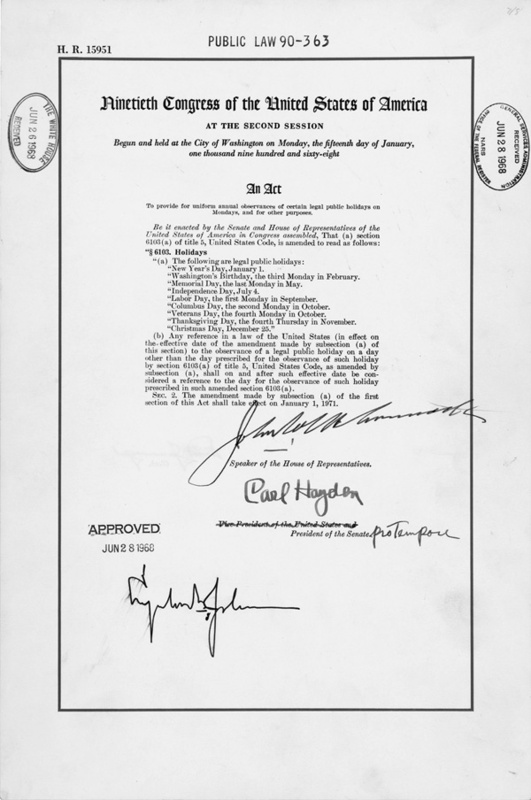 The only change has been to move the observation to the third Monday in February from Washington’s official Gregorian calendar birth date of February 22nd as part of the three-day weekend movement of the late 1960s. Even though he tries to honor Washington, Breitbart Editor at Large Ben Shapiro’s column entitled Presidents Day is Idiotic is based on the false premise that Congress created a Presidents Day holiday by combining observances of Washington’s birthday and President Abraham Lincoln’s birthday. The federal government has never had an annual holiday for Lincoln’s birthday. Fox News anchor Bret Baier tweeted about ‘Presidents Day’, as did Rep. Louie Gohmert (R-TX). According to the National Archives, neither Congress nor presidents have ever proclaimed a Presidents Day, only Washington’s Birthday. The concern expressed at the time that moving the observance of Washington’s birthday to the third Monday in February would diminish future generation’s recognition of Washington has come true.